Oia is located at the north end of the island and is probably the most picturesque village in Santorini. It is known for its sunset views and famous sites such as the blue-domed churches. The best view of Oia is from the castle ruins. Imerovigli is a smaller village that is also known for sunset views. It is located along the caldera near Skaros, a large rock formation that can be seen as far as Fira. There is a trail leading to the top of the rock which passes by the small Agios Georgios church. 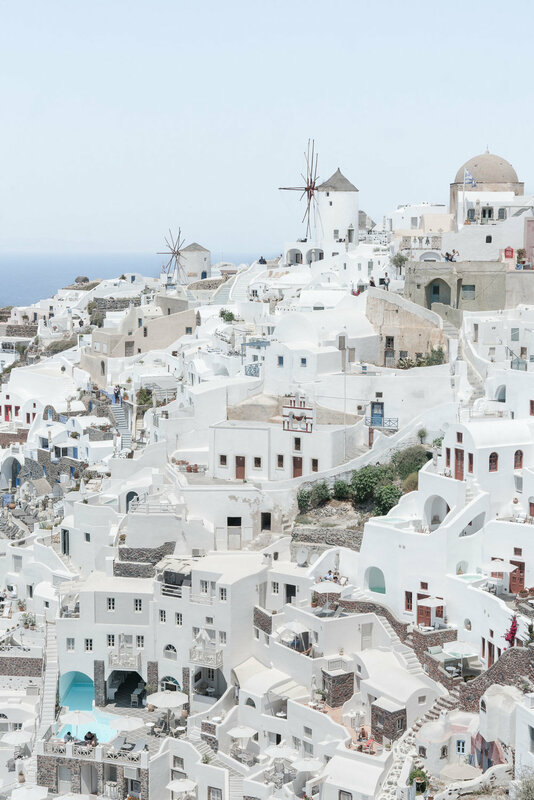 Fira is the largest city and capital of Santorini. 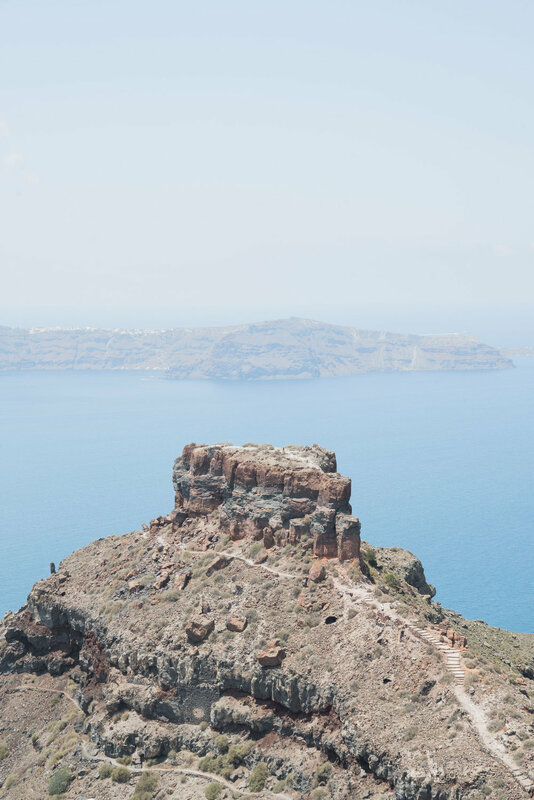 It is a thirty minute drive from Oia, but we decided on the three hour hike to take in the amazing views on the caldera cliff. Pyrgos is located on the highest point of the island. 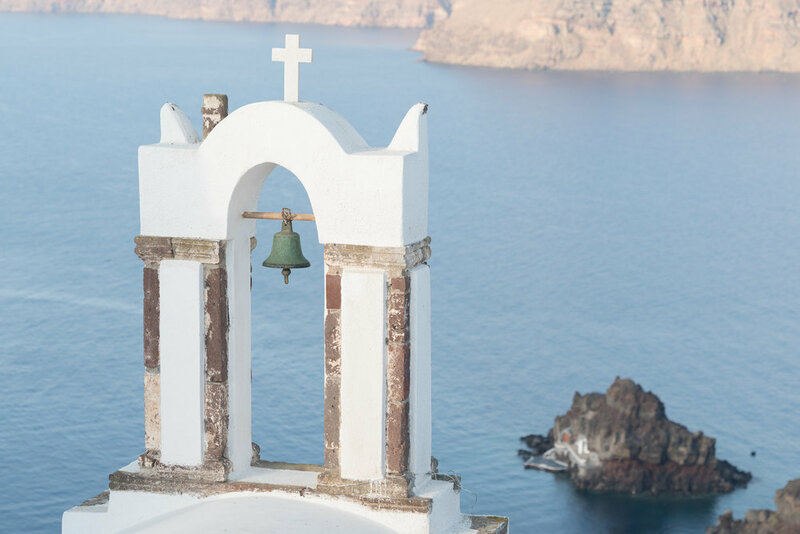 From the hilltop of the castle ruins are panoramic views of Santorini below. It is much quieter than the other villages and you get a sense of what a Greek village was really like years ago.